As one of the country’s most recent shooting rampage in Isla Vista, California, leaves a nation in tears, people start to rethink firearms and concealed carry of weapons. When 22 year-old Elliot Rodger started his killing spree, he wanted to kill as many people as he could. He managed to injure 13 people and kill 6 before taking his own life. Unfortunately, this story seems a little too familiar: a troubled man with access to firearms takes revenge on people whom he thinks have caused him pain. In this case, the Rodger was receiving psychiatric treatment and his family had informed local officials of their concerns about his mental state. Police officers evaluated his mental state, but found him polite and king and failed to perform a search for weapons. There exists a basic framework for doing background searchers for gun buyers, but it is faulty. Weapons enter the market through gun brokers and dealers, which makes them the most important link between producers and distributors. This is why gun brokers and dealers are so important and why they matter, because they are in direct contact with the buyer. 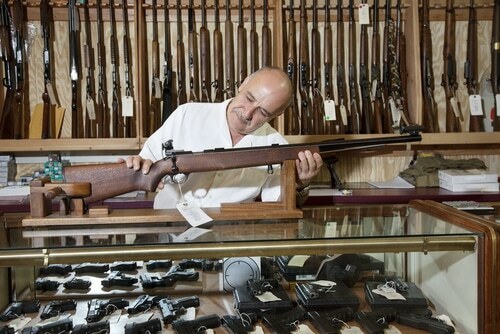 There are two main types of federal firearm licenses: type 1, which allow individuals to act as gun dealers and type 2, which allow them to buy and sell firearms as pawnbrokers. There are around 55,000 people with a type 1 license and 8,000 with a type 2 license. Around 80,000 people have other types of federal firearms licensees. 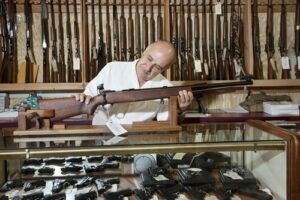 What makes federal dealer licenses so popular is the fact that a person who has such a license can buy unlimited quantities of firearms at wholesale prices, through the mail without having to undergo background checks or wait for any period of time. A gun dealer must initiate background checks, report multiple sales of guns and maintain records of purchases and sales, among other things. If you want to become a federal firearms licensee, you must first complete an application for a federal firearms license which you then send, accompanied with the proof that you paid the application fee, to the ATF PO Box listen on the application form. Once the application is registered, your information will enter the database to be reviewed. Your fingerprints will be analyzed and your background will be checked, as well as all the background of all the persons you’ve included in your application. The application will then be sent to the closest ATF office where a supervisor will issue an assignment to an investigator who will conduct an interview with you. If your background check doesn’t reveal anything that might delay or stop the process and if you pass the interview, then the FFLC will issue you the license. This usually takes around 60 days from the time your application reaches the ATF office until you are given your license. Here are a few things that you should know about gun brokers, dealers and how gun are being sold and bought. In Massachusetts, for example, gun brokers are prohibited in residential and other sensitive neighborhoods, such as in the proximity of schools. All gun brokers that sell any class of firearm are needed to have a state and/or local license and have a background check. This is valid for the states of Hawaii, California, Rhode Island, Pennsylvania, New Jersey, Washington and District of Columbia. Considering the above requirement, gun broker employees are also required to undergo background checks in the states of Delaware, New Jersey, Connecticut, Virginia and Washington. It is very important that dealers and gun brokers take all the measurements possible to prevent theft. Such measurement may include alarm systems and limited display of guns and weapons. Dealers and gun brokers are required to report all of its firearm and explosive sales to the local and state law enforcement. Gun brokers and dealers are required to have an annual inventory of firearms and explosives; inventory which is given to law enforcement. Also, all gun brokers and dealers should report any theft or loss to the local law enforcement. While this is specifically required from only three states in particular: California, New Jersey and Massachusetts, all gun owners across the U.S are required to report any theft or loss. What do you look for in a gun broker? Share with us your experience with a local gun broker or dealer, our readers and we would love to hear about it. Ya learn sontmhieg new everyday. It’s true I guess! 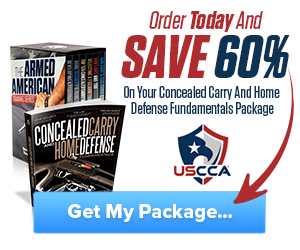 Hey Buddy!, I found this information for you: "Gun Brokers and Dealers – Why They Matter". 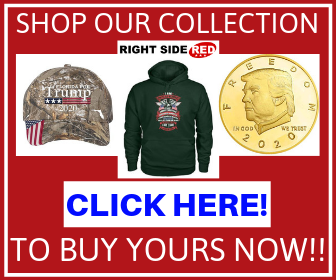 Here is the website link: https://thegunrights.com/gun-brokers-dealers-matter/. Thank you.